International illustration exhibition, curated by Viive Noor, is a homage to Alice. The exhibition is attended by 72 artists from 18 countries, including 23 Estonian and 3 Hungarian illustrators. The exhibition is opened on November 8th at 5 p.m. with the participation of the curator. The curator of the exhibition had a round-number birthday coming, but her friends are living all around the world and it was impossible to gather them around one table, so she decided to invite them to drink a cup of tea with her but to organize the tea party in the form of an exhibition. 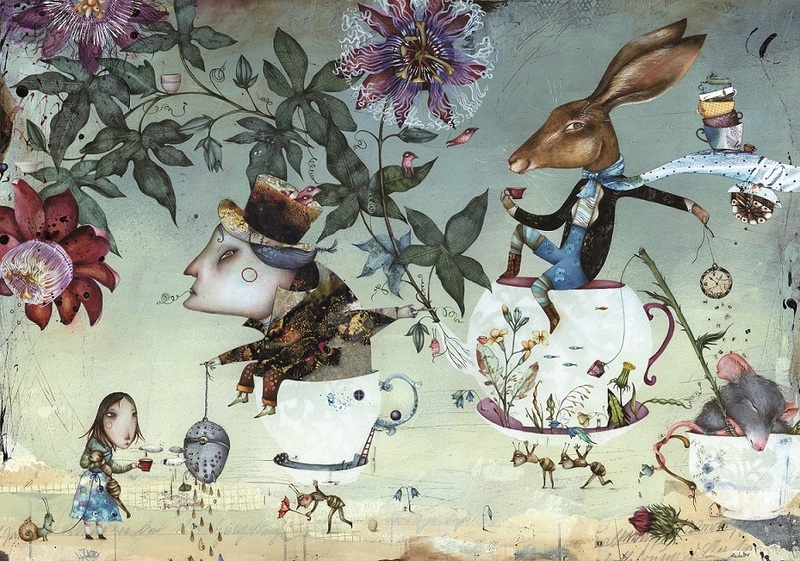 A little later, it turned out that Alice also had a bigger birthday coming – 150 years since the book was first published – and so it seemed that the only possible way to organize the tea party is to organize it with Alice in mind. Since almost all illustrators dream about creating a picture for this book, it was not necessary to consider it for a long time. Alice, along with her crazy tea party mates, was invited to become an honorary guest of the exhibition! All illustrations have been made as a birthday presents for Alice and for the curator. This rich and versatile material was exhibited for the first time in 2015 at the Estonian Children’s Literature Centre in Tallinn. The exhibition reaches Budapest after visiting Riga, Berlin, Gdansk, and Warsaw. In January, the exhibition will travel to Oxford. The exhibition was supported by the Estonian Graphic Designers Association, the Cultural Endowment of Estonia and the Estonian Children’s Literature Centre. The Budapest exhibition is organized by the Estonian Institute in Hungary in cooperation with the gallery Deák17.